Posted November 20, 2018 by Fiona Greenfield & filed under Governance, Uncategorized. 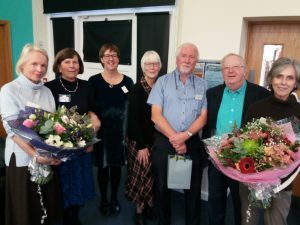 New Trustees have been welcomed to Relate MTB as retiring supporters were thanked for their great support. 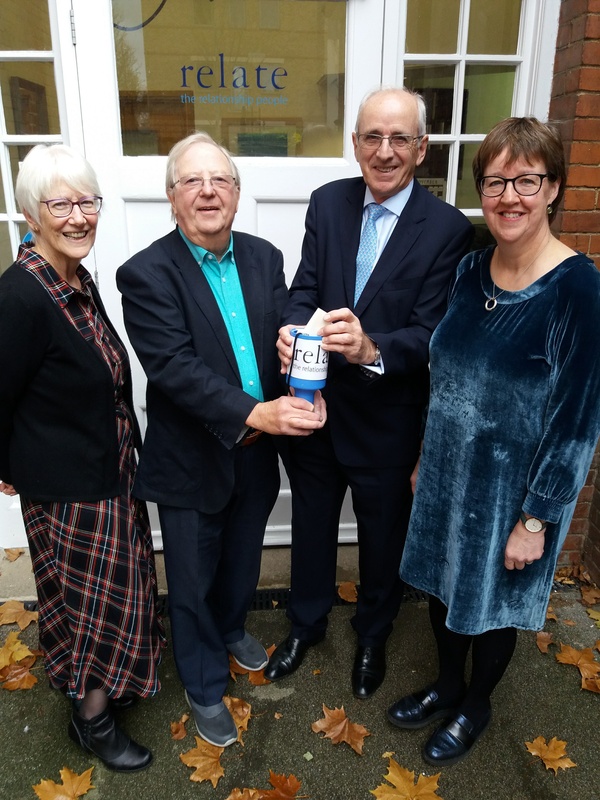 Michael Young (Treasurer), Bep Dhaliwel and Gill Monk were welcomed by Chair of Trustees Janice Campbell and Centre Director Fiona Greenfield at the charity’s annual meeting on Monday, November 19th . President Tim Brooke-Taylor OBE took time out from Radio 4’s I’m Sorry I Haven’t A Clue panel show to join Janice and Fiona in thanking retiring Treasurer Raymond Clarke and fellow Trustees Sue Mervyn-Jones and Janet Shaw for their ‘enormous contributions’ to the charity. Centre Director Fiona Greenfield said: “Our Trustees play such an important role in ensuring that Relate MTB is here is provide relationship counselling for local people regardless of their ability to pay. It is thanks to them that our amazing counsellors are able to provide skilled support that makes so much difference to our local communities. 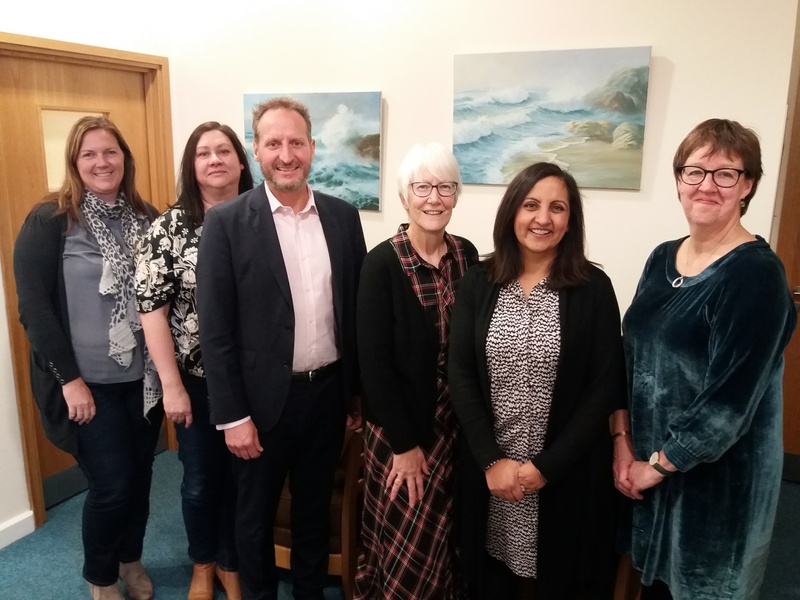 Chair Janice Campbell told the meeting that it has been a busy and successful year for Relate MTB, providing relationship counselling at 7 locations across East Berkshire and most of Buckinghamshire. She thanked funders and donors, saying: “Thanks to their support we continue to offer bursaries to people unable to meet the full fee of counselling, including highly vulnerable people.